Congratulations to artist Tino Sehgal (b. 1976) for winning the Golden Lion at the 55th Biennale di Venezia being judged on excellence and innovative scope of his work that opens the boundaries of artistic disciplines and best project by an individual artist. The award ceremony was held Saturday June 1st, 2013. The Untitled performative work will be on view in I Giardidni as part of Il Palazzo Enciclopedico, curated by Massimiliano Gioni until November 24th, 2013. The work is almost indecipherable as it includes a group of actors who are in the first room upon entering the building that once housed the Italian Pavilion. Some of the performers are sitting on the floor while others move around the room, the scene feeling at once naturalistic and artificial. Sehgal is known for using individuals in various artworks often resulting in audience participation in one way or another. Based in Berlin, he is one of the most interesting artists working today. Most recently his work was featured in Frieze New York with Marianne Goodman Gallery, titled Ann Lee, 2009 and he also was present with This Variation, in 2012 at dOCUMENTA (13) a work that involved a number of performers singing and chanting in a dark room. Represented by Marianne Goodman Gallery in New York, he has exhibited in numerous institutions including the Tate Modern, Fondazione Nicola Trussardi, the Guggenheim Museum, the Hamburger Bahnhof and others. 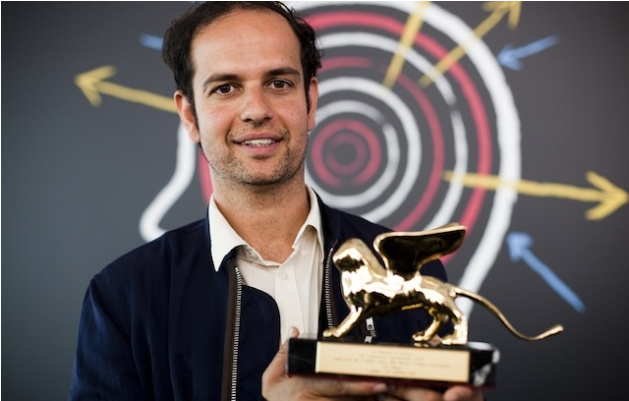 The jury for the prize in Venice was chaired by Jessica Morgan (Great Britain) and consisted of Sofía Hernández Chong Cuy (Mexico), Francesco Manacorda (Italy) Bisi Silva (Nigeria) and Ali Subotnick (United States).